We follow the Royal Academy of Dance Syllabus (RAD) in our ballet classes, with the opportunity for students to participate in annual examinations. Ballet based curriculum allows 3 year old to explore the world of dance with imagination and creativity. Enhance your child’s experience through dance with music, co-ordination, focus, movement, stimulating social and intellectual development. Begin at any time if there is an opening in class. 8 Week sessions- 45 minute class, once weekly. Ballet based, developing musicality, dance skills, co-ordination, posture, relaxation, focus, imagination, creativity, and confidence building in a supportive, creative and nurturing environment. Full and Half Year Session. 45 minute class, once weekly. Mon 5:15pm, Thurs 5:15pm, Sat 9am. Ballet based invoking the imagination, through dance. Fun and active but requiring focus and co-operation. Children work individually, in partners and in groups. with patterning, rhythms, dance styles and music growing as dancers and individuals. Half and full year programs. 45 minute class, once weekly. Foundation of dance technique is established. Children’s imagination, creativity and love of movement is explored and enriched. Students may also study tap or modern and/or jazz. Full Year. 45 minute class, once weekly. Dance technique including barre, dance solos and group ballet combinations and dances and Character dance. New students will quickly catch up if they are just beginning dance at this level. Royal Academy of Dance medals are awarded to successful exam candidates. Exams are offered to students deemed to be ready by the Academy Director. Students may also study tap, jazz and/or modern. Full year. 1 hour class. RAD GRADES 3 to 5 - Age 10-14 approx. New students will be directed into appropriate levels. Performance, ballet skills, solo and group dances. RAD medals are awarded to successful RAD exam and Class Award candidates. Full year. 1 hour class, two to three classes weekly. Students may study the vocational levels concurrently or on alternate years. Examinations are offered. Successful Grade 6 students may apply for RAD student membership. 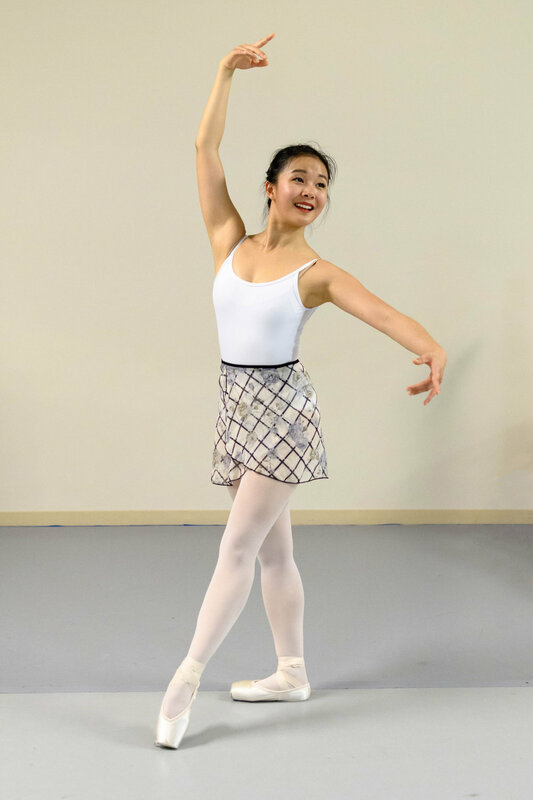 The vocational stream of RAD training includes pointe work, with an emphasis on advanced technique and sophistication in performance. Students successful in their examinations can apply for RAD student membership. Offering classes in RAD Advanced levels, preparation for examinations and pointe work. Full year. 1 1/2 hour class. Our adult ballet classes are tailored to our participants, welcoming beginners and those returning to ballet. Classes run all year long and new students are able to join at any time. Perfect for University and College students! 8 Class FlexPass or "Find Your Level" Single Pass - 1 1/4 hr class.